Etching and some stipple, hand coloured. 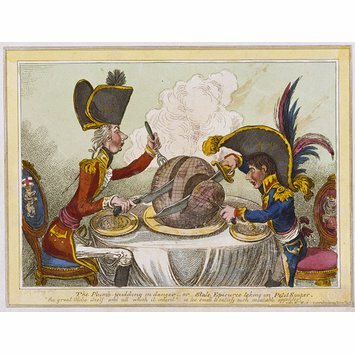 James Gillray, The Plum-Pudding in Danger. 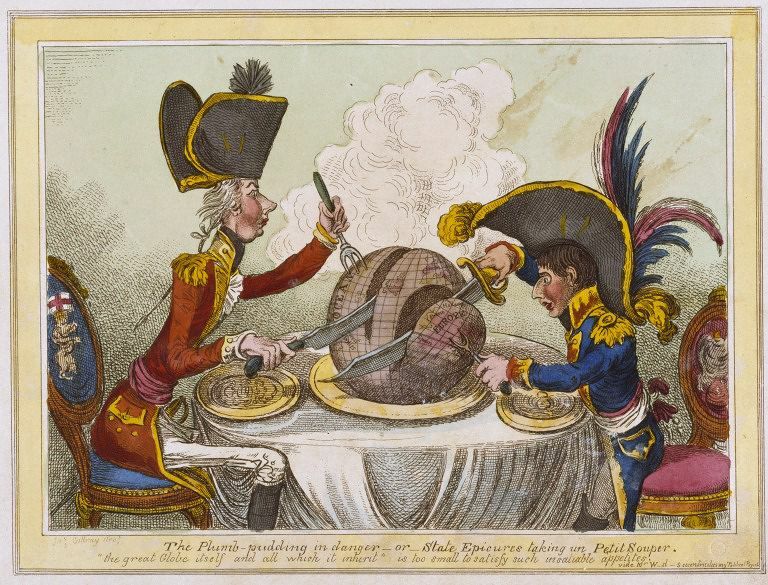 Published in London by Hannah Humphrey 26 February 1805.